In the latest in a series of interviews with experts at INC Research, pharmaphorum talks to Chief Operating Officer Alistair Macdonald. He says utilising new technology and ‘quality by design’ principles will help you create winning trials – but don’t overlook the human factors. What is the biggest challenge in planning clinical trials? There are many challenges in planning trials, but the biggest are often the strength of your trial design, the speed of patient recruitment and controlling costs. In truth, one of the most fundamental questions is: how interested are people in the investigational drug? When something new and innovative emerges that promises an advance in treatment, it can make a big difference to the success of the trial. How big a challenge is patient recruitment? The process of picking global sites for the trial is the first crucial stage. We have some studies where we don’t really need to do any active patient recruitment – the sites call us and say, “We want to be on this study.” We had an experience where we had numerous sites engaged and all were providing high quality patients, which meant we were able to complete recruitment around six months early. Of course not every drug can be like that, so that’s our job, to make sure we get the right patients enrolled in the right trials. A good CRO is like a jockey in a horse race – you’ve got a horse that’s one of the best in the field, but you’re up against strong competition. If you are a skilled jockey, and make the right decisions – including judicious use of the whip – you can have that crucial edge over the competition, and that small difference can make you the winner. Is the rise of ’empowered patients’ having an impact on clinical trials? It depends on the therapy area. In rare diseases, patients are often very well informed. They’ve got a chronic, debilitating condition that they’ve researched extensively. They see trials coming out and they want to be involved. In contrast, people with chronic diseases, such as diabetes, may not be as dynamic about it, and there tends to be less patient advocacy. What sort of pros and cons are there in conducting trials in a rare disease area versus a ‘mass market’ disease? Cost can be a big driver, because patient recruitment is inevitably very thinly spread in rare disease trials. You might literally open an investigative site for one individual patient, in contrast to diabetes you might get 20-30 patients from each individual site. Naturally that rarity increases the overall complexity, and also limits the speed. All of that can translate into costs three or fourfold higher than a common disease area. So those are some of the pitfalls. The flip side is that if you send a monitor to the site, they can focus on risk-based monitoring, or a strategic data monitoring programme, rather spending the entire eight-hour visit looking at one very big set of information. That is quite a different challenge, so you need a CRO with a lot of experience in that. What other developments are impacting the trial process? There is a big drive to do things more efficiently. And now there is a willingness to look again at trial design. We have the tools to do it, and the design skills. The industry is beginning to understand that it can use different designs of trials. We also have to make absolutely sure we’re collecting only the data we need, which is a big issue in terms of cost. There are different operational models that can reduce costs, such as strategic data monitoring, and ‘lean design’ of trials. How is technology changing clinical trials? Technology is moving things forward very quickly, and in a number of ways. One example is a technology we’ve developed in-house that lets us run different simulations to forecast how a trial might perform. These run what we call ‘Monte Carlo’ simulations, which takes all the input parameters for a trial – indication, number of patients, how long it’s going to run – and then makes a calculation of how it will end up. So it might simulate a trial that will run in five countries, and assume everything goes to plan, and that everybody hits their timelines. Then you do that again, but assume one of the countries never gets started because of regulatory issues, and see how that affects performance. The simulator can run 500 different scenarios, and that helps us create the most robust plan possible. Sometimes the simulator shows that you need fewer sites, in fewer countries, which is a pleasant surprise! It gives you a confidence level in what the likely outcomes of a trial are going to be. How are market access challenges impacting trials? People are definitely looking ahead in terms of commercial market access when deciding on which trials they run, and where. Nobody just develops a drug anymore. We’re not just trying to develop drugs that are safe and effective, we also are looking to prove their value compared to the standard treatment. Or prove how a new treatment might directly reduce healthcare costs by cutting a patient’s time in the hospital. What advice do you have for pharma companies to make trials more efficient? We often see trials with over-engineered protocols. This is a problem because it brings more cost and more complexity to a trial. A company may be thinking of collecting data that it can use elsewhere, but if you’re collecting data that isn’t answering a core question, it can turn into a hindrance. That means following ‘quality by design’ principles, and making sure the trial can prove the scientific point in the protocol – does the drug work, is it safe – without losing its scientific integrity and without being over-engineered. So make sure your trials are robust, well designed, and pressure tested by a third party. I used to work in the manufacturing field, and when we were going to rebuild a factory, a team would produce its design of the factory, and this would go for a design review. This was done by external consultants or another team within the company, who could look at it more objectively. If it was somebody’s pet project that didn’t make sense, the design review would highlight any fundamental weaknesses. Just think about the cost of an amendment – and how many times do you see three or four amendments to a trial protocol before the first patient is even recruited? That really shouldn’t be happening. What’s the secret to a successful CRO partnership? We’ve learned that each client is different – and each one has its own unique set of priorities. The human dimension – the personalities involved – can be a big influence, so you have to understand those factors, and build your partnership on that basis. For these reasons, we don’t subscribe to one model, we try to understand the needs of each company, and how we can best work with them to get the right solution. Working together in clinical trials is a bit like getting married. The wedding is always lovely, but after that honeymoon period, you have to work at it. A lot of people lose sight of that in these partnerships. They think: “Well, we’ve got an agreement in place. We’ve got an operations manual, we’ve got a bunch of nice people and great governance meetings – everything must be fine.” But it doesn’t work like that; it can get stale very quickly, so you have to continually refresh and challenge things. Otherwise the performance will just tail off. The secret is to treat the partnership as you would to your own business and apply continuous improvement methodologies. Mr. Macdonald has more than 20 years’ experience in the pharmaceutical industry and has held senior management positions in manufacturing, consultancy, business and corporate development, data management and clinical operations. As Chief Operating Officer, he leads INC Research’s global operations. Mr. Macdonald joined INC Research in 2002 and has been responsible for leading the data management, data services and ultimately the Company’s global services teams, driving the implementation of new technologies and processes and the expansion of those service provisions to a global scale. 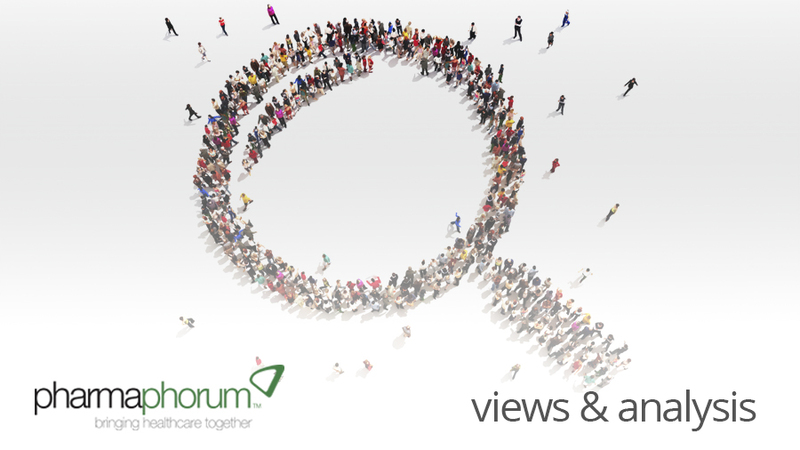 Have your say: which practices in clinical trials does the industry need to update and re-think?